This bracket features an aluminum base and quick-release strap that keeps your Ranger Brush Tank secure onboard your apparatus. 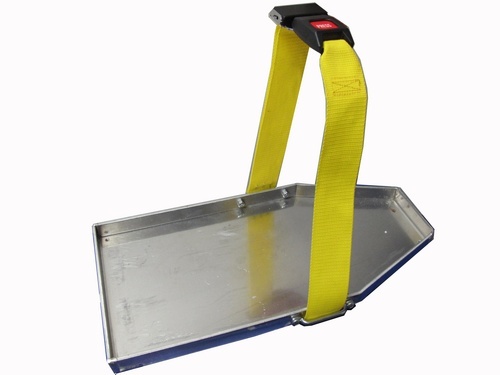 This is the ideal bracket for mounting your Partner saw inside an apparatus compartment. Simple and secure, with a strong quick-release strap and aluminum base. The Colorado Hook features an Arson-Trash Hook at one end and a All-Purpose Hook at the other constructed on our versitile steel shaft. 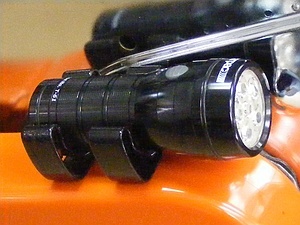 This unique configuration offers various options on the fireground. 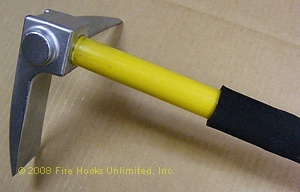 New from Fire Hooks Unlimited... the Adz Hook. 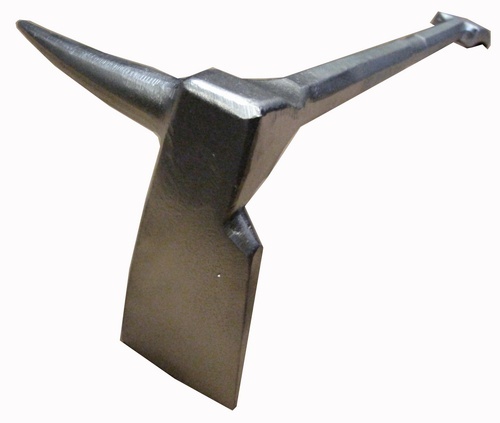 This hook features our popular NY Roof Hook head and steel pole. 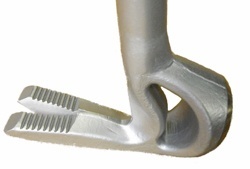 At the opposite end, we have added the Adz from Pro-Bar Halligan that will maximize prying and penetration. 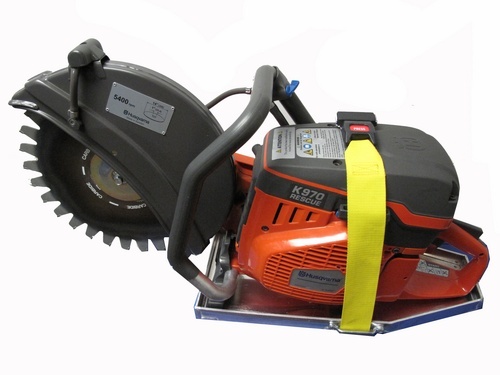 The perfect way to mount your Partner Saw. 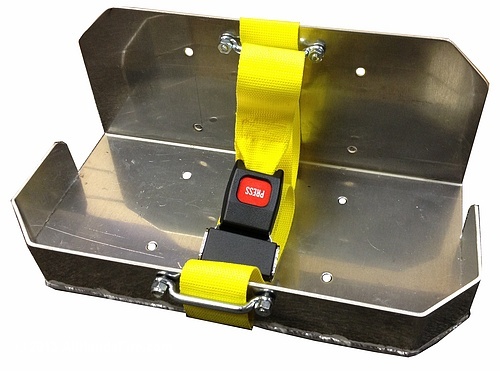 This mount is easy to install and will fit in essentially any compartment - in fire apparatus, rescue truck, emergency services truck or commercial truck. 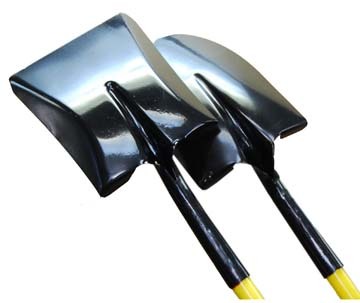 Have you seen our new SHOVELS? 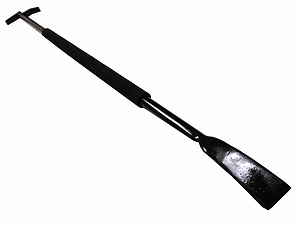 A gunbarrel steel unit with Sledge face, serrated face lock puller and gas shut off on one end. The other end has out original All Purpose Hook head. 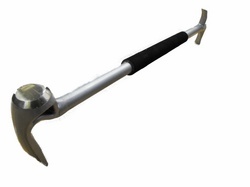 The 36" can be used for Forcible Entry, lock pulling, wall/ceiling entry and overhaul. Weight of unit is 8.5 lbs. and has our exclusive self-extinguishing Celtex grips. 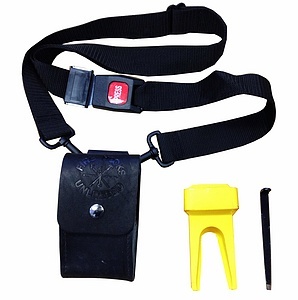 The FORCE-3 consists of an Adz-Axe, Pro-Bar 30" with ring and a ring-attached yellow strap. Unit can be carried in one hand. New and original three-some. 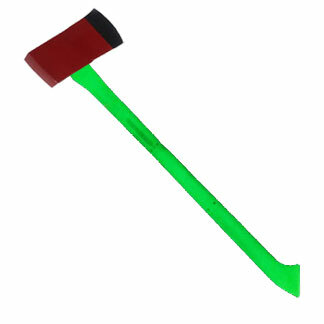 Our new ADZ-AXE is an 8 lbs. 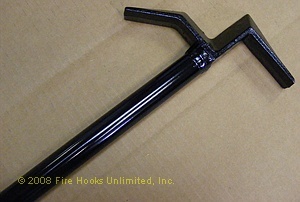 Force Axe with a mount for the Adz of our Pro Bar Halligan Bar. This mount allows for the Perfect Marriage of the "Irons"! 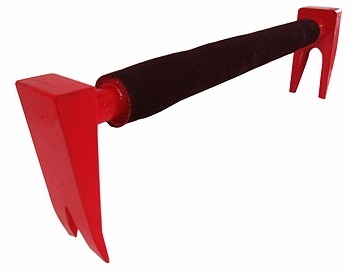 A combination "Roof Hook" with Adz and Spike. 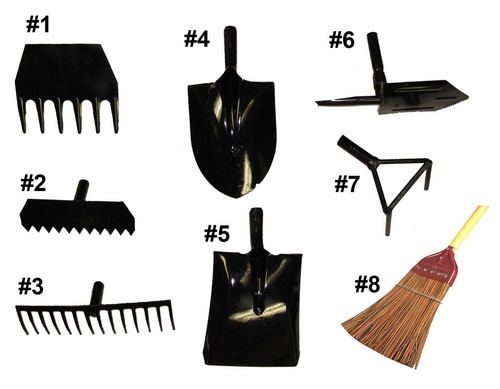 PARTNER SAW - The redesigned "Package"
The Jonny-Bar is excellent for assisting in search efforts, performing forcible entry and overhaul operations. 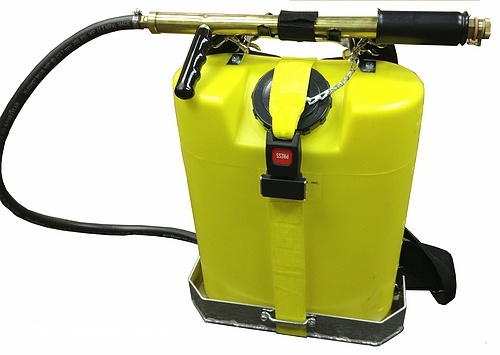 It is the new tool of firefighters and officers backing up attack lines. Construction: Mounted on a Pro-Bar hex shaft with fork end. Other end is a pierce head that can pierce hurricane glass and reinforced sheetrock walls. Comes with adjustable carry strap with reflective striping. Strap is attached to the bar with rings that are welded on. The 24" is a great officers tool. 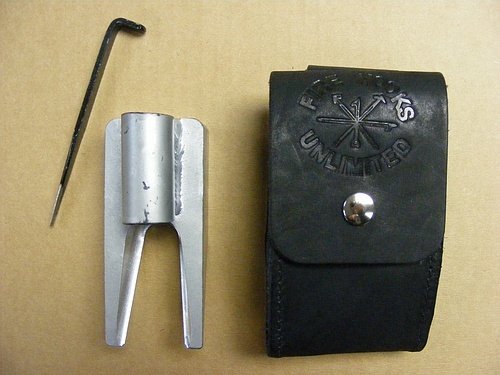 This add's another strong tool to the forcible entry site! 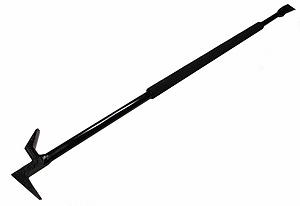 The HYBRID HOOK is made to remove persons grounded to Hybrid battery's with as much as 600 volts DC. 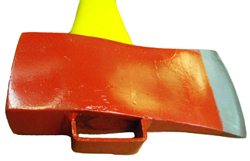 This insulated hook protects at a ratio of 25,000 volts per inch of fiberglass. See its unique design.